As senior year is quickly coming to a close for the Class of 2016, the reality of going to college is really starting to set in. As we are sending in our final housing and meal plan papers to our new homes for the next four years, we can only hope that Needham High School has prepared us for all of the new classes, interactions, and experiences that we are about to have. 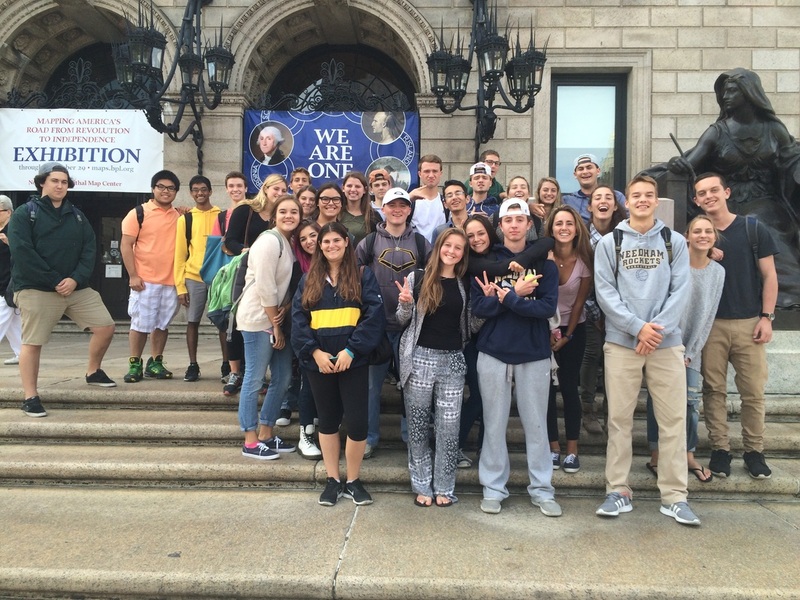 Unlike many of the more traditional classes that are offered at Needham High School, Greater Boston Project has offered students more than just academic lessons; it has offered real world experiences that can be utilized in college and in the professional world after that. Looking back and reflecting on the this past year in the Greater Boston Project, I can now truly see how beneficial of a class it truly was. Not only am I leaving the class with far more knowledge about the history of Boston, starting from the day John Winthrop sailed over in 1628, but more importantly, the constant group work and creative assignments has forced me to manifest and master skills that I had rarely tapped into before this year. I have learned how to collaborate with people who I would never have chosen to work with on my own. It can be very difficult to work with someone that you don’t necessarily work well with, for whatever reason that may be, but after being put into different groups on a daily basis in GBP, you learn to work out any problems that arise in a difficult group and move forward. After each group project that we do, we have collaboration conferences with the teachers where they give us their opinion on how well we worked together, based on each group member’s individual feedback. The teacher guides us through having a conversation with our group mates about improving our collaboration techniques, which has helped us to learn how to give appropriate feedback and constructive criticism to group members. Additionally, GBP has really encouraged all of its students to communicate more effectively, whether it be written, visually, or orally. Each of the projects that we do have at least one, if not all, of these components worked into it. We regularly were producing work such as slideshows or infographics where we were forced to improve upon our visual and written communication. Because in a stand-alone slide show, where peers needed to be able to flip through the slideshow and learn everything they needed to, if we didn’t have good visual and written communication, it wouldn’t be clear enough on its own. We also have had numerous occasions where we needed to orally present a project, from little things like Current Event Discussions, to larger ones like our recent Community Action Project presentations. In other classes, at most, there will be around 4 projects throughout the whole year that force you to use these skills and improve upon them. 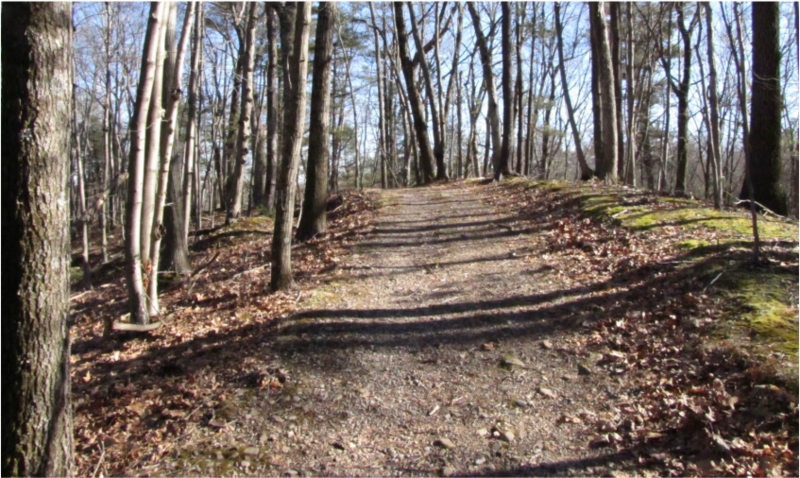 In the Greater Boston Project, however, we completed projects like this so often that we not only used and improved upon these skills, but we became comfortable and confident in them. All of these skills were used in our CAP projects, which have just recently been finished, where we were placed into a group, given an issue to focus on, and given about 5 months to propose and try various solutions. Being in that group for as long as we were, groups were able to utilize the collaboration skills that we have been practicing all year, and really establish a good relationship with their group members. We also repeatedly needed to communicate well, with the teachers as well as with the different community contacts that we needed to form professional relationships with and convey our ideas in a convincing way so that they would want to support it. The Community Action Project challenged us to utilize all of the skills that we have been working on improving throughout this year, and prepared us to be able to use them and be successful in college and beyond. GBP Periods 5-6 in front of the Boston Public Library in September (Photo by Ms. Tincher). With the end of the school year fastly approaching, the CAP groups are furiously working to have their proposal implemented. It is a stressful time for all of the CAP groups in GBP, but it is a good stress that will force us to create work that we will certainly be proud of when we leave the high school. Part of what makes us work so hard to implement our solutions is that we know that all of the hard, and long work that we have done since January will be able to positively impact the community. 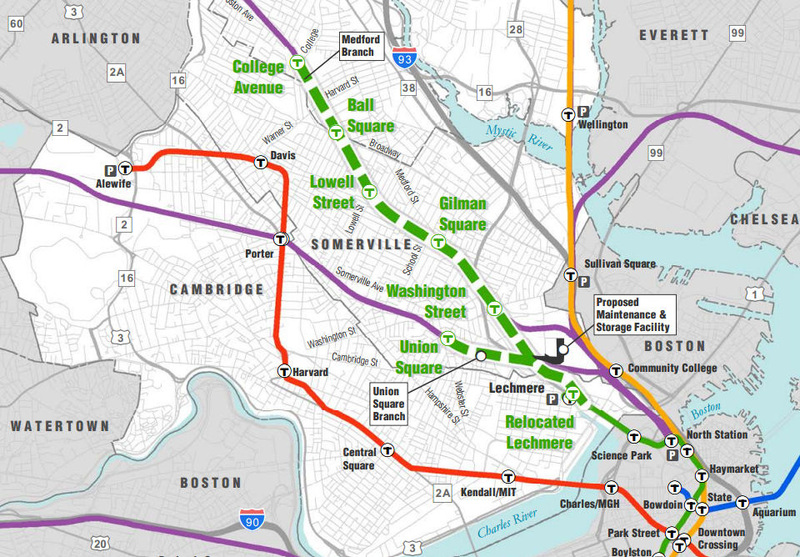 We will be able to leave something in the Greater Boston Area that can effect change, which is an integral part of the Greater Boston Project class. As Friday is the start of presentations, all CAP groups are starting to hone in on what they would like to talk about in their 25-30 minutes that they will be allotted during their presentation day. Being given all of this time for a presentation is not something that we as students are use to. However, we know that a presentation of this long manner is the ultimate culmination of our GBP experience that focused intensely on presenting, and advocating change in the community. Our presentations will focus on the extent, and scope of our projects. They are truly a report of almost everything that happened during the course of the project, from the time in which just an idea of what to focus on was born, to the where we are now when we are trying to implement a solution. To help guide as in this long presentation, the GBP teachers having given as a few questions to focus on. These questions range from why we chose the issue that we eventually did, to what we learned about ourselves in terms of self-direction, and working in groups. The presentation will be followed by 10-15 minutes of a question, and answer session which is also something that we have previously done in order to prepare us for this momentous presentation. The Community Action Projects come from a wide range of topics like enhancing sexual education education in schools to increasing bee populations. 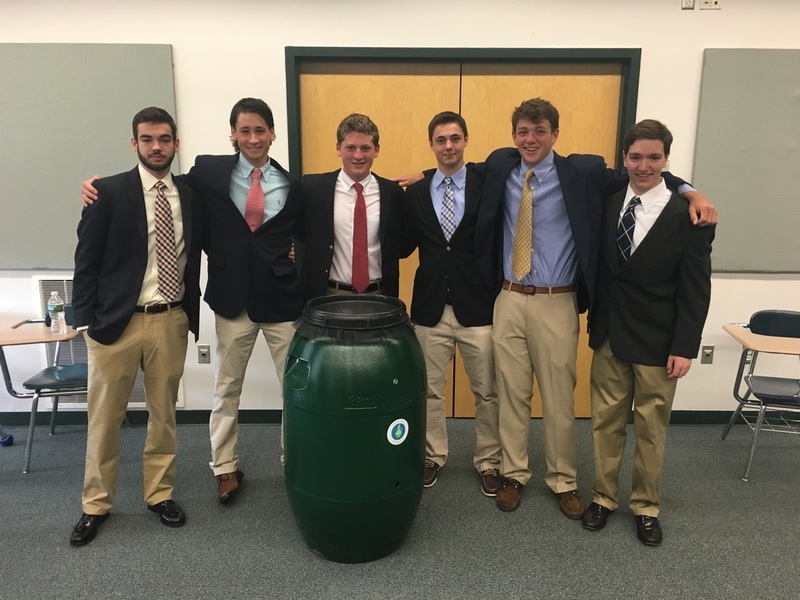 With such an assortment of topics, it is clear that GBP students are making a difference in many different fields in the Greater Boston Area. For my group’s CAP Project, we are focusing on the freshman transitions programs in the high school. We wanted to create something that could supplement the current “Senior Mentor” program. Through our surveys, and other forms of research with community members, we decided to create the “Mentoring Club” in which upperclassmen will be paired with incoming freshman for the whole year. 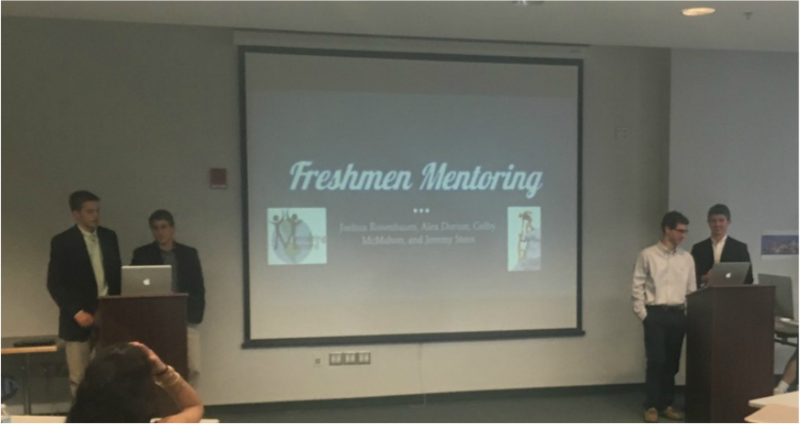 The incoming freshman will be able to receive individualized attention, and mentoring through the year, which is something that is not available in the current “Senior Mentor” program. To advocate for our club, our group has done a presentation with each cluster at Pollard to talk about the transition into high school, as well as selling the idea of our club to interested incoming freshman. Once we figure out how many incoming freshman want to be a part of the club to be mentored, we will be able to pair them with a upperclassmen mentor who they can create a very positive relationship with. As our deadline for CAP approaches at a furious pace, we as a class are continuing to work very hard to have our proposal either implemented, or handed off to someone else who will be able to implement it in their field. The preparation for the presentation has begun, and proposals are being fine tuned so that our projects can have the best impact on the community as they can. With such little time left at the high school, and in the greater Boston community, it is awesome to know that your legacy can live on in the community even when you aren’t here. Throughout the year I figured out that when you work in a group there is always going to be a clear leader who emerges, the one who will give out roles and lead the way. Coming from my experience in sports and school, I know what it means to be a good and bad leader. A bad leader is someone who is only concerned about themselves and tries to degrade people and doesn’t give good feedback. A good leader is one who stays calm gives help when people need it and gives people good and constructive criticism. An example of constructive criticism is staying calm while helping a group member and not making them feel bad about needing help. While working on the Neighborhood Project with my group, I was able to take away that it's essential to work together, plan and be productive. At first my group didn’t do enough because we thought we had so much time to get the project done, but due dates were much closer than they seemed (as they usually are!). We eventually started to get going and different members of our group started stepping up. For instance, I was able to get the visual piece down while Max was able to finalize the research, and Will was able to make all of the citations. Even though we were able to get the project done, our procrastination cost us a better final product; had we done a better job at getting started on the right foot and working throughout the whole time, we would have been more successful. Depending on who you are with, sometimes you need to step up and take charge of a group, even if you’re not used to it. As hard as it can be to take charge, sometimes you need to and step outside of your comfort zone to enhance communication and professionalism in your group. Though I don’t tend to choose the role, there have been times this year where I was forced into taking the leadership role. It can be very stressful to do so, as I sometimes feel like if I make one mistake as a leader it will bring down the whole group. But, I’ve learned that the best route is to have a leader, but also give clear roles/responsibilities and organize everyone so you can all get things done for the final product. This is something I plan to keep in mind in future projects.